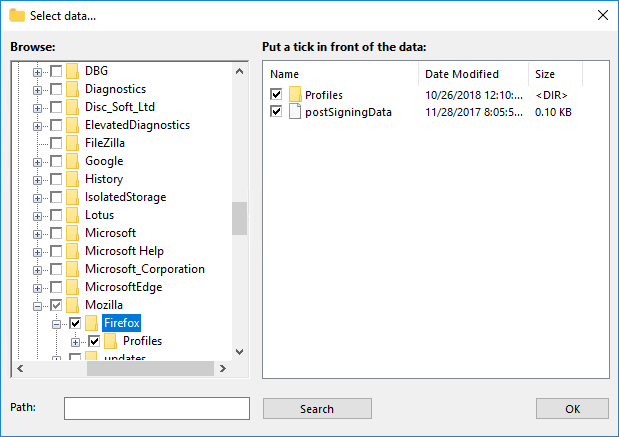 Firefox backup is an operation allowing making a backup for Firefox history, bookmarks and even the downloaded pages, to restore all these data later. Handy Backup uses the standard Computer plug-in to backup Firefox settings and data, as well as to restore these data again. As a Firefox backup tool, Handy Backup allows fully automating any data-saving tasks. 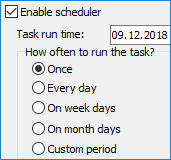 You can tune a task to backup Firefox data to an exact time (with a repeating period from months to a minute), or to start by an event (such as inserting a USB drive related to a task into your PC). 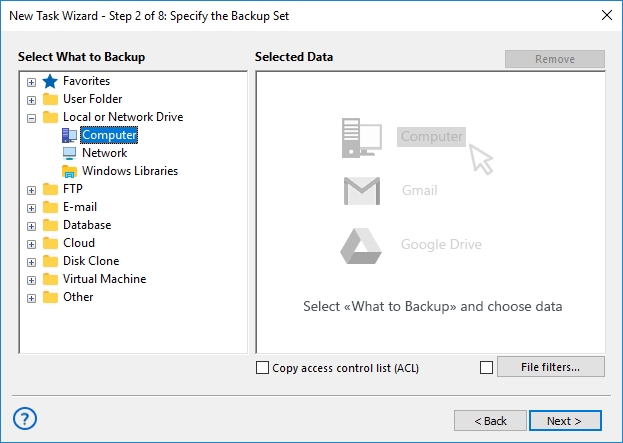 As a contrast to earlier Firefox backup software, such as Mozbackup, Handy Backup has a couple of precise backup settings allowing making controlled, convenient backup. These methods include incremental, differential and mixed backup, versioning, time stamping, compression and encryption. 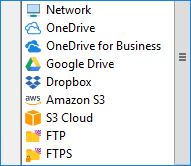 In addition to local backup, Handy Backup opens a possibility for Firefox online backup to some remote storage, including a commercial cloud (e.g., Amazon S3, Dropbox, Google Drive or OneDrive), a cloud via WebDAV, an FTP storage (with a support for SFTP and FTPS), or just a remote drive or shared folder. Cross-platform operations, allowing using Handy Backup natively under Linux. The Standard edition has a plug-in for making Mozilla backup, as well as a healthy set of storage plug-ins to allow Firefox backup bookmarks and history to different popular data vaults. Free 30-days trial version! To backup Firefox settings, history, bookmarks and other data, you must save a copy of a local Firefox folder. Handy Backup utilizes a standard “Computer” plug-in (which is available in any solution) to perform a Firefox backup. 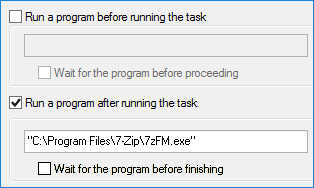 Start Handy Backup and open the new task wizard by clicking on a “New task” button/menu. Select a backup task on the Step 1, and proceed to the Step 2. Find the “Computer” plug-in in the group “Local or Network Drives” on the left panel. Note: You can use the “Network” plug-in instead, or select a machine from the drop-down list of available computers (for network editions only), to perform Firefox online backup. Double-click on it, or click the “>>” button. In a new window appearing, find and mark a Firefox folder with a checkbox. An advice: For Linux versions, this folder is often has a location at ~/.firefox. Click OK to return to the Step 2, and proceed to create a backup task as described in the User Manual. 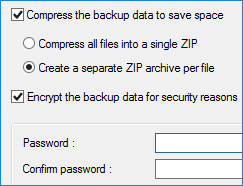 No any other step is specific to Firefox backup. An obsolete Mozbackup tool has no scheduling, and different other Firefox backup addons often have such problems. In addition, there are almost no tools for Firefox backup containing a storage option other than a local drive and/or some dedicated cloud. 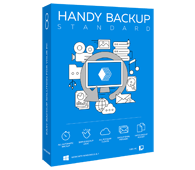 Handy Backup is free from these problems! with a full set of features, options and settings available! See also: Google Chrome Backup.